Ford commenced its operations in India in 1995 and has currently above 370 sales and service outlets situated in more than 200 cities across the country. Endeavour is one of the SUVs manufactured by Ford in India. Why is it Important to Insure Your Ford Endeavour? As per the Motor Vehicles Act of India, it is mandatory for every car owner to insure his/her vehicle with at least a third-party liability cover. Besides this, insurance protects the insured from any financial stress at the time of a mishap by covering the liabilities incurred at the time. 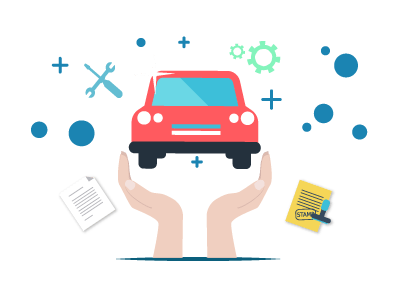 Comprehensive car insurance policy is an extensive coverage plan that covers both third-party as well as own damage liabilities incurred at the time of the mishap. Third-party liability cover is a limited coverage plan that covers only third-party liabilities incurred at the time of the mishap. You can visit the insurer’s official website or third-party insurance website to purchase or renew the car insurance. Online purchase or renewal gives you a number of benefits in addition to being a hassle-free and quick process. You can also visit the insurer’s office or meet with insurance agents to purchase or renew the car insurance. Inform the insurer as soon as the mishap takes place and register your claim, either cashless or reimbursement claim. The insurer, upon registration of your claim, will send an authorised surveyor to inspect your vehicle and assess the total loss/damage incurred. You will have to submit relevant documents and provide genuine details as requested by the insurer/surveyor. Drive or get your car towed to the nearest garage depending on the type of claim you have raised. In case of a cashless claim, take your car to a cashless garage and get it repaired. Post repair, the insurer might send a surveyor to re-inspect the vehicle after which the insurer will settle the repair bills directly with the garage. In case of a reimbursement claim, take your car to the nearest garage and get it repaired. Post repair, you will have to settle the repair bills directly with the garage and later submit the invoices/receipts for the same to the insurer to get the amount you paid to the garage for repairs reimbursed. Loss/damage due to natural calamities, fire, theft, etc. How does my car’s engine capacity affect my car insurance premium? What are the documents necessary to purchase a Ford Endeavour Car Insurance? In case I provide incorrect information when purchasing a Ford Endeavour Car Insurance, what needs to be done? If you have provided incorrect information when buying the information and wish to make relevant changes, you can do this through endorsement. An endorsement is a written letter that enlists the changes to be made in the policy and you have to submit this letter to the insurer in order to incorporate the changes. You may be charged an additional fee for the same. Can I renew my car insurance with another insurer? Yes, you can renew your car insurance with another insurer. You can cancel your car insurance anytime provided you haven’t raised any claims 30 days prior to the policy cancellation and have purchased another car insurance that you can produce relevant evidence for.